Here are your Free Stencils! Just right-click on the image and select print or save. Enjoy! If you want stenciling ideas, just look around here and you’ll find plenty. One great idea would be to use these stencils to create custom t-shirts for friends and family! Pssst - Don't miss the video below! Wait! Don’t just print your stencils from this page and leave. This site is loaded with how-to's and project ideas not to mention the free printable stencils like all of those links on the right. You may be looking for free stencils now but this is also the place for unique stencil designs. So, don't leave before you scroll down and check out a sample of the stencils we have to offer. They're pretty cool stencils and I know you'll find inspiration to create! Want more unique Stencil Patterns Free? Then you need to check out the Toile Stencils. This style is not easy for a stencil design so they are very uncommon. 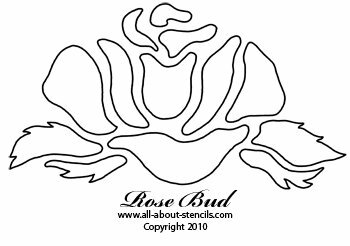 Of course, you'll find this as one of our many free stencils available to get you motivated to create art with stencils! Maybe you want to create art inspired by the heavens. If that's the case then don't miss the free Angel Stencil . She'll warm your heart around the Holidays and year round. For creating religious cards or other forms of art, you may want to use one of these beautiful Cross Stencils . There are four very different designs and all free! Check out these Sports Stencils for creating art, cards or decorating for your favorite sports fan. And the free stencils keep on coming. This is just a limited list too. So, click on some of the tabs over there on the left for more. Follow along with me as I paint this beautiful free Grapevine Stencil as a border just above the back splash over the kitchen counter. Oh! If it's a kitchen that you're re-decorating then you'll want to incorporate this Pineapple Stencil . It's a classic! 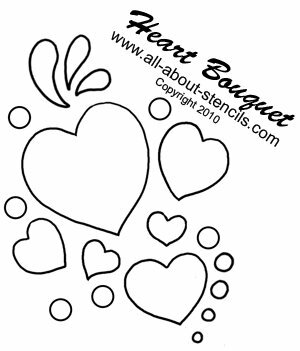 If this little cutie appeals to you, then click on Heart Stencils for more! If you are searching for something really different, really unique, then check out the Freebie Stenciling Pattern Designs. I think you'll agree that they're not your average everyday free stencils! Have you ever seen something painted on a wall that at first you thought was real? That's called Trompe L'oeil. It means "to trick the eye" in French. If you would like to give it a try than check out Trompe Loeil Stencils. This free stencil design is more of a mask. A stencil mask is a negative of a stencil. Where stencil patterns allow paint to be applied to open areas, a mask blocks areas so that paint can outline the images. 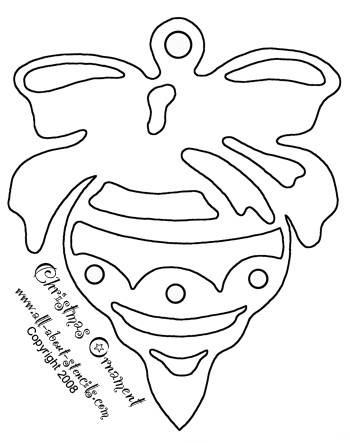 For a better idea on how to use this pattern, go to Stencil Masks. 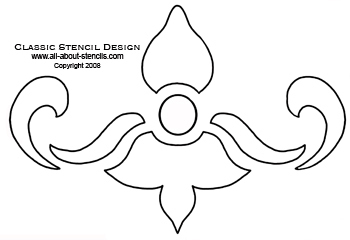 Another great way to use this design is to trace it on color paper, cut it out and glue it to your project surface. Getting ready for the Holidays? More Free Christmas Stencils are just a click away! Maybe I'm getting ahead of times. If it's Free Halloween Stencils you're looking for we've got those too! Can you print on transparency film? If so, then your stencil making is easy. Just make sure that your printer will accommodate the thickness of the film. 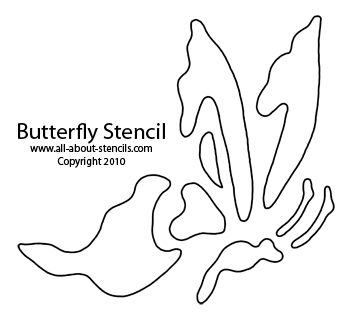 For more on this theme, flutter over to Butterfly Stencils for a garden of wonders. Here's something a little out of the ordinary (for free stencils anyway): Tree Stencils . You'll find a scary one for Halloween decorating and an artsy one for...well, art! If you can find down-loadable stencil designs you can have your stencil immediately and no delay to your project. 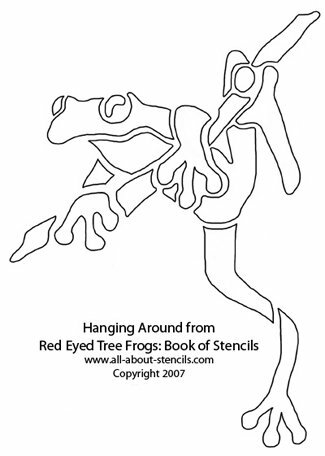 Here we offer some free stencils to get you started and a few in book format of our more complex designs. 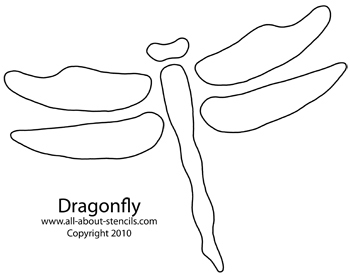 You can view them all at Printable Stencils (but scroll down for a few samples). I hope these freebies have inspired you to get started right away making art with stencils. Don't miss out on our great Free Halloween Stencils. We have six scary designs for you to print and did I mention - They're Free! Are you ready to rock? OK that's a bit corney. Sorry! But don't miss these great Guitar Stencils which will work wonders for adding new life to an old t-shirt. And hey! Don’t forget that I (and everyone else) want to see what you have done with your free stencils. Just click on Stenciling Projects to get your masterpiece showcased here on this web site. Won’t that be exciting! Or if you have any questions or want to share information join in on the Stencil Blog. Well, I hope to hear from you soon. Oh wait! Here's that project idea video using free stencils found on this web site. Enjoy! Return to Home Page from Free Stencils.